Our mission is to provide the highest quality of real estate services to our clients; with integrity, professionalism and enthusiasm. You only have one chance to make a first impression with the consumer. Many agents and brokerages stumble on this step and cost their sellers real money when buyers don’t value the home enough to make solid offers. So how can you avoid this misstep? Much of the property marketing campaign rests on the consumer’s ability to find your property online… and to find it with the right information. The below pre-launch activities, therefore, are designed to seed the marketplace, optimize for Search Engine Optimization (SEO) and position the property for the best possible impression right out of the gate. Paul’s Properties “Coming Soon” real estate sign is placed on the property. Pre-sale readiness/home staging appointment takes place, with you, the seller. Its focus is on highlighting your properties strengths and providing creative solutions to repurpose items. Projects are prioritized. Paul’s Properties can provide you with complimentary staging props, art work and some furniture (if required) to showcase your home – from list to sold. Marketing narrative for the property, location, and neighborhood is drafted with seller input. Professional photos are taken of the interior and exterior of your home. Drone footage is taken when possible and advantageous. Professional photos are uploaded (with address in the file name) to the MLS system. Property is posted to Facebook with a “Coming Soon” Campaign. Seller is encouraged to share post from company’s Facebook page to personal profile. Launch activities that were built during the Pre-launch phase by “announcing” the property’s availability through a combination of online and offline channels. By using online marketing to connect with consumers and real estate agents, your property gets the necessary exposure to prospective buyers. Property promoted on the Ottawa MLS. Listing is automatically emailed through MLS to people looking to purchase homes like yours. Listing is syndicated to Realtor.ca, among many other realtor sites giving it exposure to national and international buyers. Property video is uploaded into the MLS listing, embedded on Featured Property Page on www.paulsproperties.net and uploaded to YouTube. Blog post is created for www.paulsproperties.net using marketing narrative. Property is posted on Instagram. Facebook Ad campaign is created to start marketing the property. Seller is encouraged to share listing with family, neighbours and friends. If we decide to host an Open House, preparation and marketing will take place so that we can bring in perspective buyers. A Facebook event will be created for the Open House and promoted. Property promoted on the MLS.and Realtor.ca. New Kijiji ads created and re-posted weekly. Throughout the campaign cycle, the data will be evaluated to determine whether the messages and images are getting the impressions and Click through Rates (CTR) within the desirable ranges. Adjustments will be made when necessary. Campaign results will be analyzed and modifications made to ongoing marketing campaigns. Facebook Ad Campaign is promoted weekly to people ‘Likely to Move residential profile’. If we decide to host an Open House, preparation and marketing will take place to bring in perspective buyers. A Facebook event will be created promoting the Open House. There is a constant ebb and flow of marketing activities that start and end simultaneously. This is intentionally designed so a steady stream of online and offline interest is being generated, while ongoing promotions will make sure your property is getting in front of both consumers and to the agents representing those consumers. Campaign results are analyzed, and modifications made to ongoing marketing campaigns. Facebook Ad Campaign to people “Likely to Move residential profile”. If there is insufficient interest in the property (lack of traffic & showings, negative feedback on value from people who toured the property), then a price reduction is most likely in order. Research and feedback from the market will give guidance on the price to market the home to sell it within the desired timeframe. Once a new price has been determined, the marketing campaign will be updated and a re-launch will take place. If online traffic is not converting into offline tours, then price must be reassessed to attract more traffic. Agent announces price reduction to its network of real estate agents. Price updated and promoted on www.paulsproperties.net Featured Property Page. Price updated and promoted in the MLS and Realtor.com. Price updated and property photos re-posted on Kijiji. New Facebook Ad Campaign marketing price reduction to “Likely to Move residential profile”. If there is a change in season, new exterior photos are taken to keep the listing looking current. Featured Property on company on www.paulsproperties.net. Depending on the current market conditions, price and condition of the property some listings will sell quicker than others. We reassess the marketing plan for each listing on a weekly basis continuing to make adjustments as necessary. We will be in constant contact with you providing periodical reports on the success of our Marketing efforts and a breakdown of how many people we have reached. Our entire focus is to get your home sold while exceeding your expectations. In fact, we work to get the job done so well; you will want to tell your friends and associates about it. 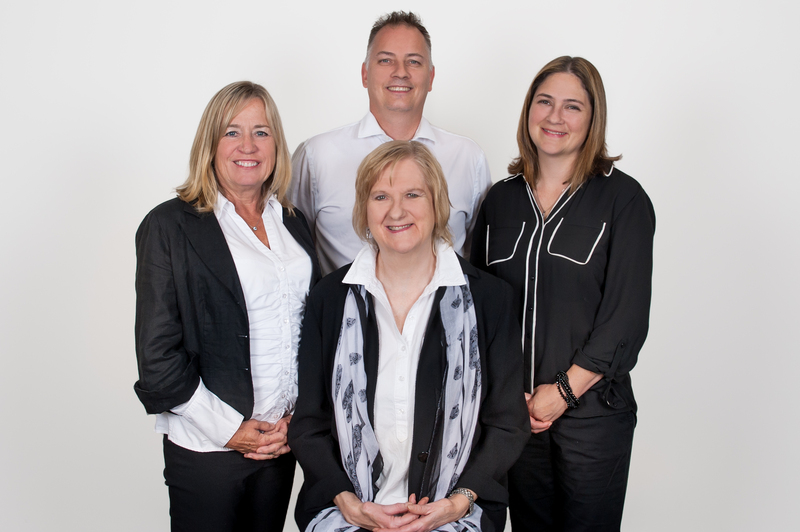 The Team from left to right: Martha Lavictoire (Sales Representative) Paul Lavictoire,(Sales Representative) Theresa Quann (Broker ) and Dianne Wall (Real Estate Marketing Specialist).